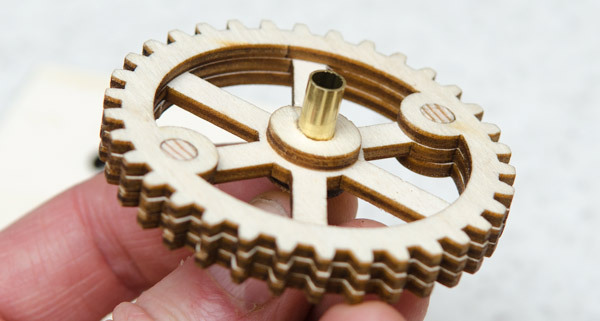 I’m working on my laser cut wooden gears again. Up until now I’ve been using wooden axles made from dowel. These fit into suitably sized holes drilled into the wooden frame. To make the gears more stable I’m experimenting with brass for these parts. 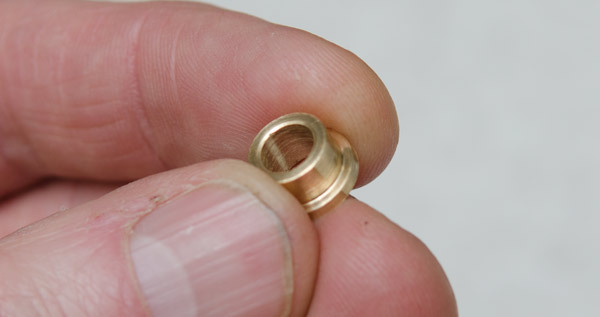 I’ve used 6mm diameter brass tubing for the axles matched with these suitably sized flanged brass bushes. The bushed sit nicely into a couple of nine millimetre holes cut into some six millimetre thick ply. The flange on the top helps ensure that everthing is lined up squarely. 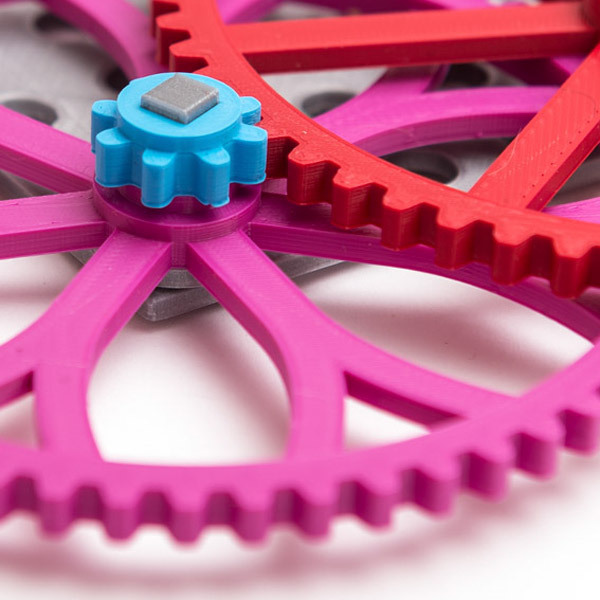 The flanges help as well by lifting the gear a fraction away from the wood reducing any turning friction. The end result runs smooth and sweet! Where did you get your brass flanges? I’m looking for a similar solution for a wooden clock.